Samsung announced successor of Galaxy Tab variant, Galaxy Tab 2 310 in India. 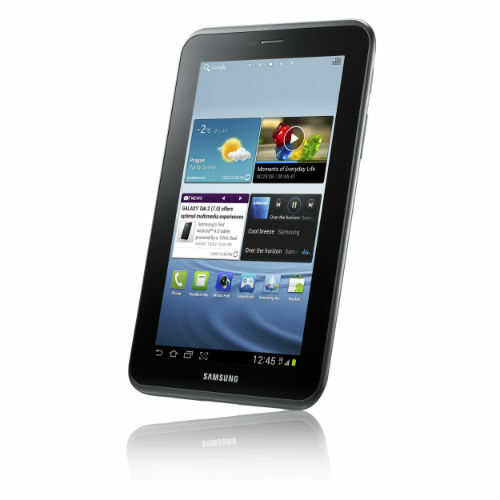 Galaxy Tab 2 310, Featuring a 7-inch 600×1024 pixels display, 1Ghz dual-core processor and the Android 4.0 ICS OS, it weighs just 345 grams and supports 3G and voice calls using a standard SIM. Available in 3G and Wi-Fi versions. It is expected to be priced at Rs 23,300 in India. The Galaxy Tab 310 device is launching across different markets starting April 2012.